The recent news of killing a lion in Hwange National Park in Zimbabwe resonated all over the world. Not only the activists, but also common people were outraged by a number of facts. Firstly, the man managed to hunt down Cecil, the lion who was favorited by many visitors of the park. Secondly, the hunter took the lion down after luring him outside the park, which is strictly forbidden. Thirdly, he paid money to legitimately kill an animal for fun. It sounds atrocious. Animal abuse is a phenomenon that takes multiple forms of human-inflicted harm for any reason except survival or self-defense. Animals are vulnerable; they have been overpowered by humans who are physically weaker, but have a great advantage with all their weapons and tools. Although wild animals may seem to be comfortable in parks and reservations, they can easily become a target for some poacher or enthusiast hunter. Also, domesticated animals strongly depend on humans for food and shelters. Conditions, in which people keep them, can be extremely bad. PETA, the American animal right organization, states, “Animals are not ours to eat, wear, experiment on, use for entertainment, or abuse in any other way.” However, almost in every area of human life where animals are involved, animal abuse is also present. For example, factory farming is where living creatures can suffer the most. Conditions in which they are kept are often horrible. Not only are animals deprived of basic things (such as voluntary reproduction), but they are placed in stressful unsanitary environment, fed with antibiotics, and have too little space to move. Around 90% broiler chickens which are bred on factory farms are not capable of walking properly as a result of genetic modifications: their bodies are too large for their feet to support them. In the US alone, there are 900 to 2,000 new cases of animal hoarding every year. It means that pet owners keep more animals than they can support. It results in 250,000 animals suffering from abuse – some do not have enough food, some are thrown out, some live in unhealthy conditions. Stray animals do not always survive on the street, and the life in animal shelters is not sweet at all. In China, stray cats and dogs are often skinned, and their fur can be sold along with the fur of other animals which humans wear. Many animals are used in entertainment. While some are acting, others are trained to perform circus tricks, and some are used in harmful and dangerous activities, such as dogfighting and bullfighting. People trade exotic animals for fun paying and earning millions on this business, while wild animals are withdrawn from their natural habitat and placed in new stressful conditions: they cannot breed or hunt, or explore. Some do not survive the transition. 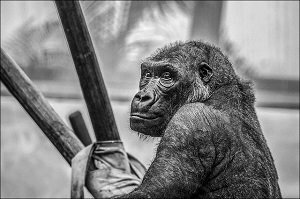 In the US and some other countries, basic animal rights are protected by the law, and cases of animal abuse, such as captivity of exotic animals or exploitation for the entertainment purposes, are a criminal offense. The problem is that police officers do not always treat such cases seriously. For this purpose, PETA has a special Report Cruelty to Animals form to help collect information on abuse cases and take action. There is a range of animal rights organizations around the world, including Friends of Animals, Animal Equality, New Zealand-based SAFE (Save Animals From Exploitation), or the abovementioned US-based PETA. While these organizations work on pushing the legislation through or raising awareness with demonstrations and protests, everything starts with individual persons. If every human being acknowledges his or her responsibility before other living creatures, the world will become a better place.